Please contact me using the form on this site to request a time when we can discuss your issue by phone, in person or via Skype (International Callers Welcome!). The initial consultation lasts around 15 to 30 minutes and will enable us to get an idea of roughly where the root of your issue lies. If we both decide to work together, we can agree on an appropriate time to meet/phone and I will let you know how long the session(s) will last. (note: the session can be anywhere between 2 to 8 hours depending on the issue, or if it’s coaching). My standard NLP Coaching rate is £150 per hour. All sessions are “Results Based” and charged accordingly, regardless of the duration of the session. Discounts or payment plans available by arrangement, and subject to agreement. *Up to a maximum of 3 hours for “Classic” phobias (e.g. animals or objects – where there an external trigger and a well defined pattern of behaviour). Non-standard phobias (e.g. sleep) – where the precise trigger of the phobia is undefined and the pattern of behaviour is irregular – may take longer. 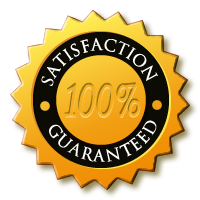 A maximum of 6 hours (two x 3 hour sessions or three x 2 hour sessions) will be provided and, if the problem has not completely disappeared, you will be eligible for the NLP Life Coach 100% Results Based Guarantee (see below). 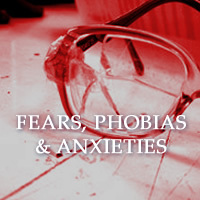 Note: You may be surprised to find that most phobias can be cleared extremely quickly. This is dependent on how willing you are to completely let go of it. Important: Please be aware that the Phobia treatment is Results Based, and the cost will still be the same even if your Phobia is cleared well under an hour, or by the end of the 3 hour session. Please contact me using the form to discuss your phobia or fear. If you suffer from Agoraphobia or any other condition that requires that it’s necessary for me to travel to you, I am happy to do this by arrangement. Additional travel costs may apply. Please let me know in advance and contact me for more information. This coaching consists of two x 4 hour sessions (or four x 2 hour weekly sessions, if available/appropriate). In these sessions, you’ll overcome the one biggest issue that currently affects every aspect of your life in a negative way (and also resolve any issues that come out as a consequence of you clearing out your biggest problem). My hourly rate is £100 per hour for additional sessions. To book a new session, please use the Contact page or phone me to arrange additional appointments. The NLP Life Coach Breakthrough Coaching and Phobia Session also come with a 100% Results Based Guarantee. If you have completed the assigned pre-session “tasking/exercise” and find that you have made absolutely ZERO shift during the course of the first session (or first 3 hours*), then you will be offered a 100% refund (and subsequent sessions terminated). If however, we both find that by the end of the session you have made sufficient progress but we have just run out of time, then I’m happy to offer you 1 additional hour at no extra charge. Personally, I like to ensure all of my clients are 100% happy with their result and have completely let go of your problem by the end of the session. *Dependent on the type of session booked. Refunds may be subject to conditions . For NLP Life/Breakthrough Coaching, if you complete the first session and are happy with the result, then no refund will be offered for cancellations of subsequent sessions. In this case, please contact me to organise re-scheduling subsequent sessions… and I may also advise that you also consider dealing and overcoming issues with “Commitment” (or similar) as this may be another negative habit! Please enter the verification code you see in the field provided. Do you have an irrational and overwhelming fear? Knowing your behaviour pattern can help. © 2019 NLP Life Coach. All Rights Reserved.